When you align yourself for a drive, you must be very particular that all parts of your body are pointing in the same direction. For example, you don’t want your feet to be aligned parallel to your target line but your shoulders are wide open. Equally, you don’t want your shoulders to be parallel to your target line but your feet are closed. Now although the picture above is showing perfect golf alignment, it’s much better to have all your body aligned one way or another, e.g. to the right or to the left of your intended target. Because by doing this it will help you to put a little bit of sidespin on the ball. 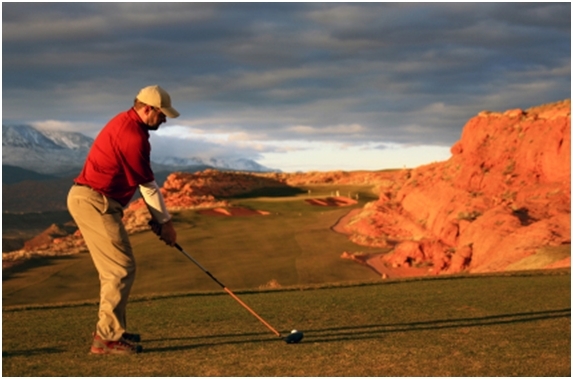 You may be thinking that’s not a good thing… especially with a driver. And a lot of sidespin is not a good thing… they’re called hooks and slices. But you do want to be able to hit fades and draws. If you know for a fact that you’re going to stand up on a tee and hit a fade, then that will give you a lot more confidence than trying to hit a straight shot and not knowing if it’s going to go right or left. 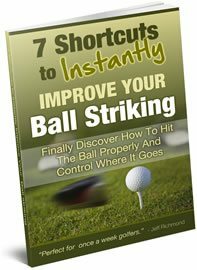 So pick a shape of shot you’re confident you can hit consistently, whether it’s a draw or fade, and align yourself to help encourage this shot. Remember this misalignment is only slight. You don’t have to go to extremes on this because if you do then that definitely will promote a slice or hook. And you should regularly check your alignment of all parts of your body to make sure they are all aligned where you want them to be. If they’re not this will cause you a lot of problems with your driver. 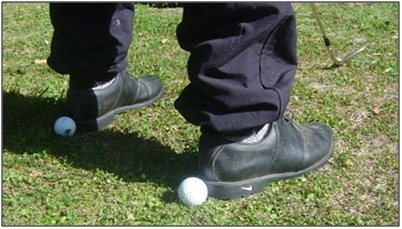 ….then simply move away and check to see where your feet are lined up to. Then after you setup again you should get someone to place a club across your shoulders, arms, hips, knees etc., to check that you’re aligned correctly. If you’re not, then move your body so you are. It may feel weird to start with, but persevere because alignment plays such a big role in being able to drive well. Don’t take alignment for granted because it’s very easy to get into bad habits. 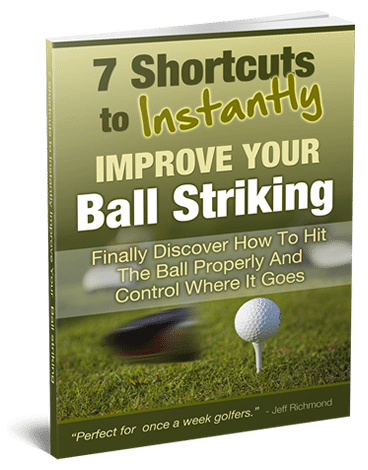 So consistently check your alignment and you’ll hit your drives longer, straighter and with less effort.